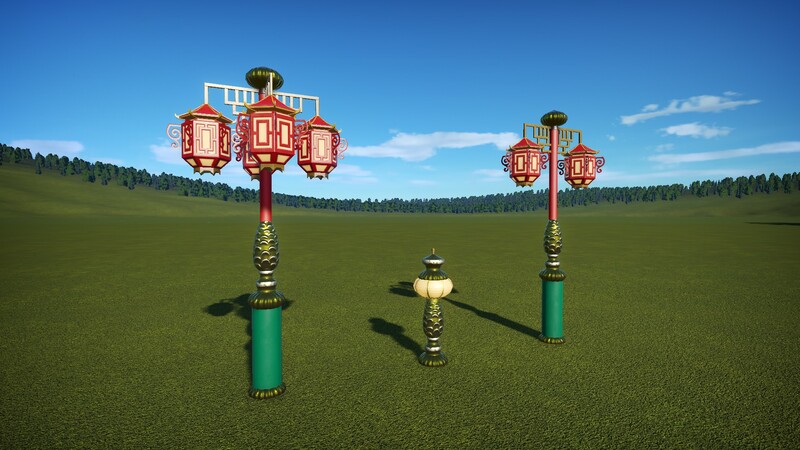 After getting tired of seeing the same default street lights in Planet Coaster parks, and inspired by the way lighting can create a sense of place and time, especially in a themepark setting, I decided to create this! 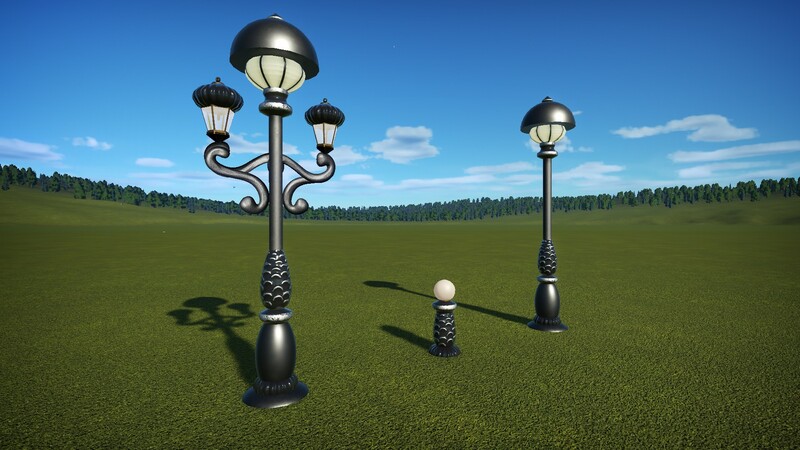 74 pairs of lamp posts / street lights and 74 matching path lights organized around 6 central themes. 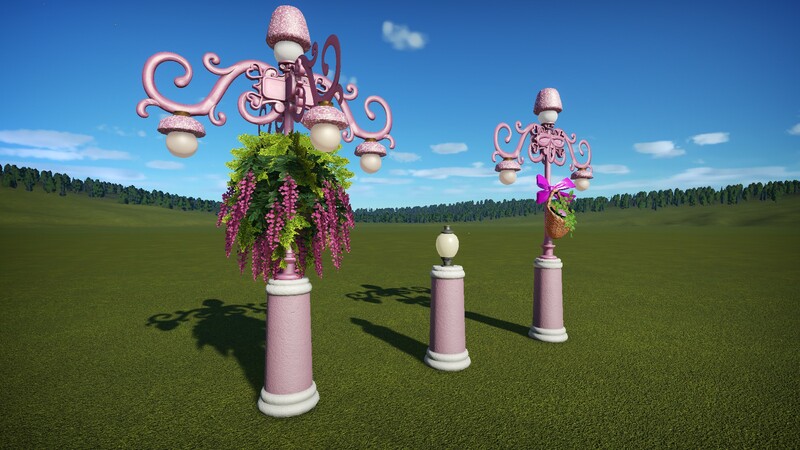 Took forever, but I can't wait to see how you guys use them in your own parks! Containing typical lighting one would see in a kingdom, city, town, or park. 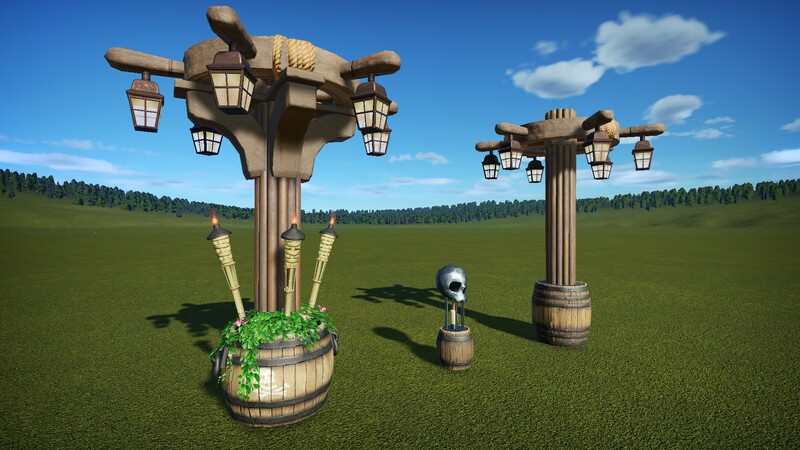 Containing wooden, western, craftsman, and adventure themed lighting. Containing metal, mid-century, atomic, art deco, and futuristic lighting. Containing ancient, medieval, and lighting from exotic locations. 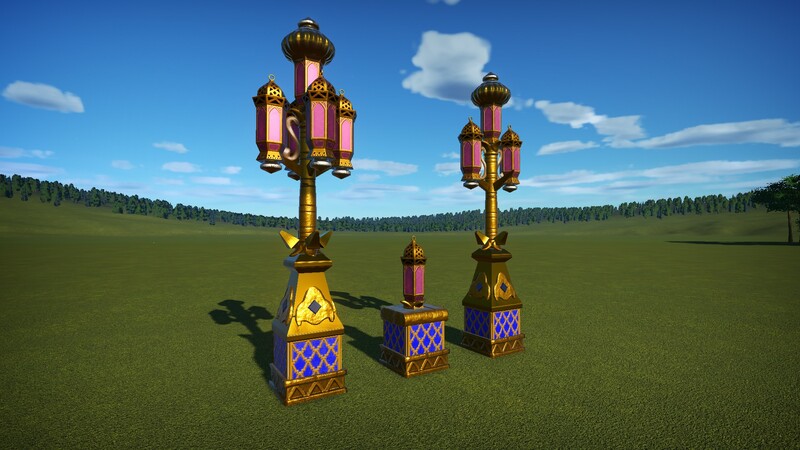 Containing heavily themed lighting, toy land, spooky, alien, circus, apocalyptic, fairy, etc. Containing summer, fall, winter, and spring themed lighting. Feel free to modify and recolor them as needed, just be sure to give credit. Enjoy! Wow, these are awesome! I love those mushroom and flower lamps. 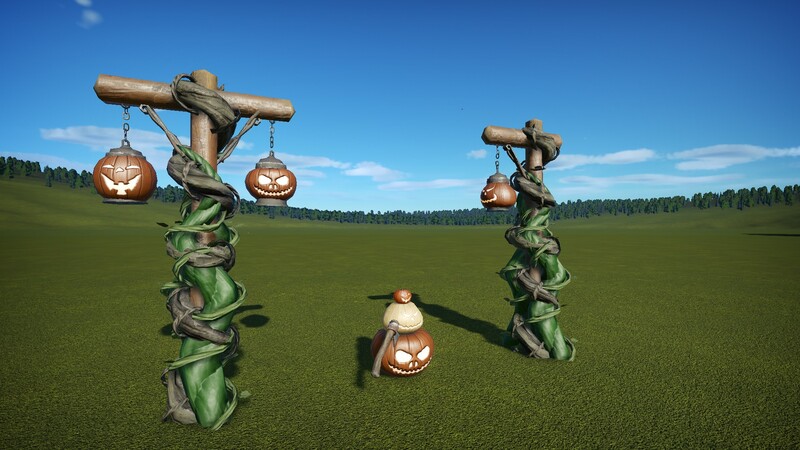 AS I mentioned in the other forum...one of the best sets I have seen created for PlanCo so far. Great stuff here. I have to also say, that these look even better when they are in game and you can zoom in and see the detail of them. Thanks everyone! Glad you enjoy them. 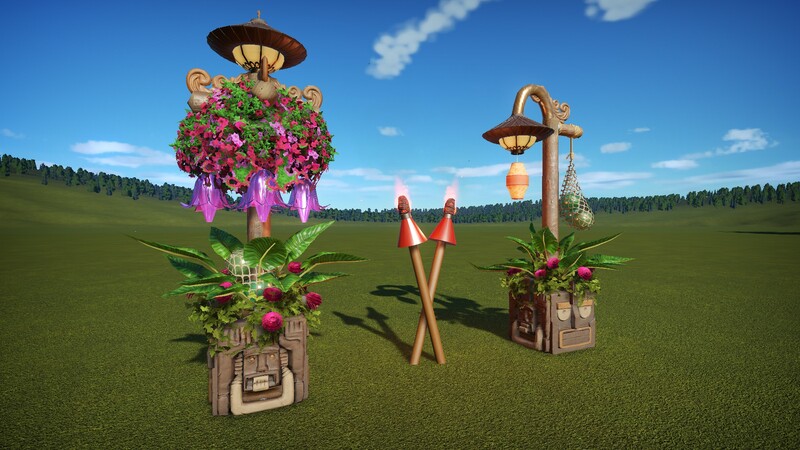 I've got a few more on the way for this pack, then will be moving on to my "Indoor Lighting Pack" which will likely be about half this size. 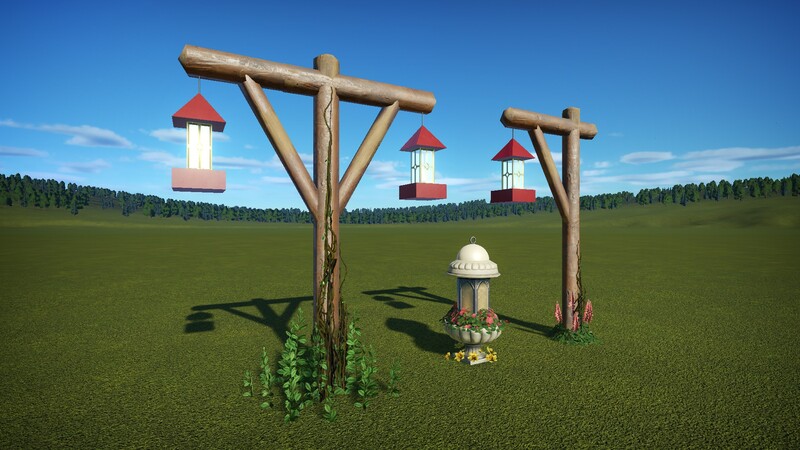 I see no point even attempting to build my own outdoor lamps now; you seem to have covered all the bases and much better than anything I could come up with. I might even replace my inferior attempts with these. Excellent, versatile set. Haha. Thanks JPAlmighT! 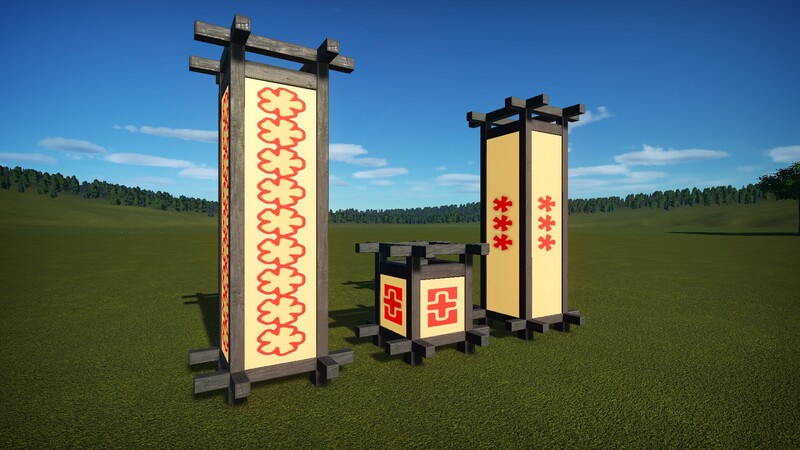 I think some of these would look great in your parks. Be sure to share some pics of how you use them, would love to see! Well, this is a good selling point to finally buy those DLCs I don't have. This pack is amazing! Thanks glad you guys are enjoying them! Updated to include a few new lights, a new theme, and the pack no longer requires the "Knight Rider" DLC. Wow, you added a LOT! 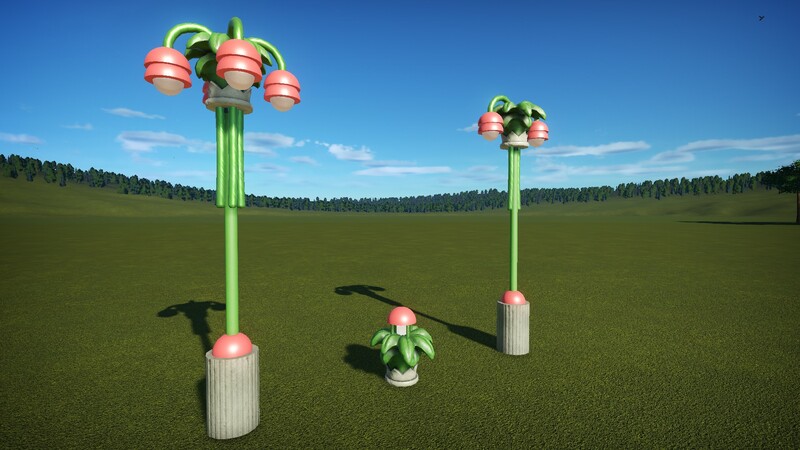 You can see them in my park in about a week when I post pictures in the summer challenge thread. 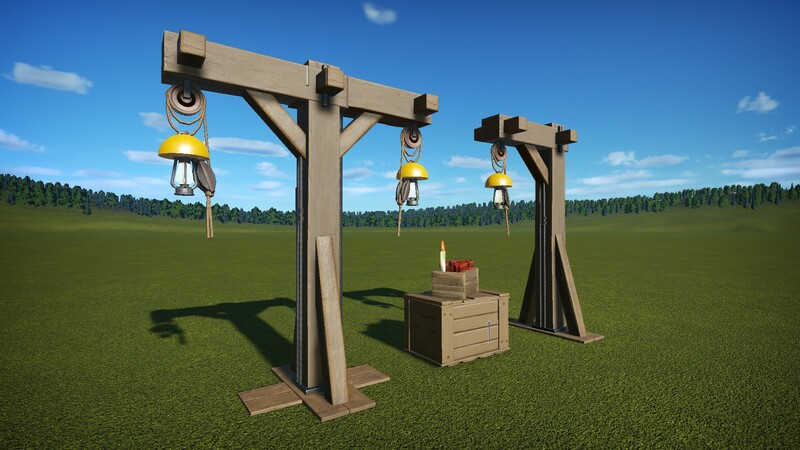 Also, are these are still one workshop item? I know it would be time consuming, but maybe breaking it up into 5 would be easier for subscribers to sort through? This is literally custom content now. You're using pieces I didn't know existed, and your presentation here is just phenomenal. Truly excited to see where this game takes you. 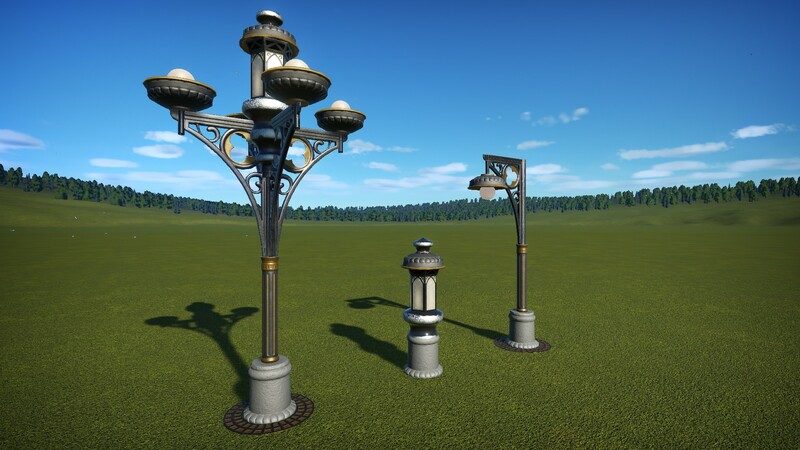 Some of the new lampposts. So were these added to the existing set...or did you start a second set? These are wonderful thank you. Will definitely try some of these out. New lampposts have arrived! Unfortunately the entire pack is now over 4000 pieces so I had to split the set into 6 files. Links to the new files and entire collection can be found above. Feel free to post pictures in the thread of how you end up using them! Links to the new files can be found above. I love the new additions, Thank you!